Miles Anderson is an internationally acclaimed actor of film, television, theatre and radio. He is represented by Sharkey & Co in the UK (info@sharkeyandco.com). Filmography can be found at IMDb http://www.imdb.com/name/nm0027215. Born in Rhodesia (now Zimbabwe), Miles has been acting for many years, moving from the UK to the US in 2008. In the US, he has appeared in television including Criminal Minds, Baskets, Battle Creek,), and films including Ryan Gosling's LaLaLand. He has also starred in three highly successful theatre seasons at the Old Globe San Diego in their Shakespeare Festivals of 2010, 2011 and 2013 under the directorship of Adrian Noble. For his performance as King George in The Madness of George III in 2010, he was awarded the Craig Noel San Diego Critics' Circle Award for Best Actor in a Lead. His 2011 performance as Salieri in Amadeus garnered critical superlatives and his Prospero in The Tempest again secured him the nomination for Best Actor by the San Diego Critics' Circle. In 2013 he again won the San Diego Critics Circle Award for his Outstanding Performance of Shylock in The Merchant of Venice. In Europe, Miles has most recently appeared in Musketeers and Canal Plus' Le Bureau des Legendes. He is perhaps best known for his television appearances as Colonel Aidan Dempsey in ITV’s Ultimate Force, Roger O’Neill in the award-winning House of Cards, Terry Fox in BBC’s Holby City and Colonel Dan Fortune in the hit series Soldier, Soldier. 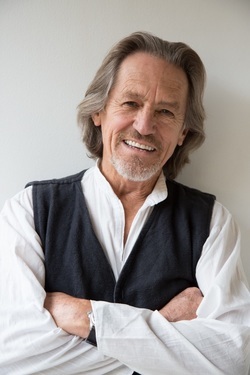 His stage appearances in the West End and for the Royal Shakespeare Company have won him acclaim with, amongst others, The Witch of Edmonton, The Twin Rivals, Macbeth, The Weir, Oliver! and Twelfth Night. He was awarded three British Drama Awards in his first season at Stratford. His work with directors including Richard Attenborough, Trevor Nunn, Adrian Noble, Max Stafford-Clark, Sam Mendes, Paul Seed, John Caird and Dominic Cooke – as well as actors including Peter Ustinov, Judi Dench, Kevin Kline, Denzel Washington, Simon Russell-Beale, Zoe Wanamaker, Harriet Walter, Juliet Stevenson, Richard Griffiths, Jean-Claude Van Damme – has established Miles internationally as an actor of immense versatility, notability and popularity. Miles is the proud father of two highly successful sons by London agent Lesley Duff- actor, Joe Anderson (Backdraft 2, The River, The Grey, Across the Universe, Amelia, Control, The Crazies, Hercules, etc) and world champion street boarder and chef, Max (currently at 'The Misfit' in Santa Monica, CA). Miles lives in Los Angeles with wife, internationally acclaimed actor-trainer, singer, writer and actress, Bella Merlin (www.bellamerlin.com).